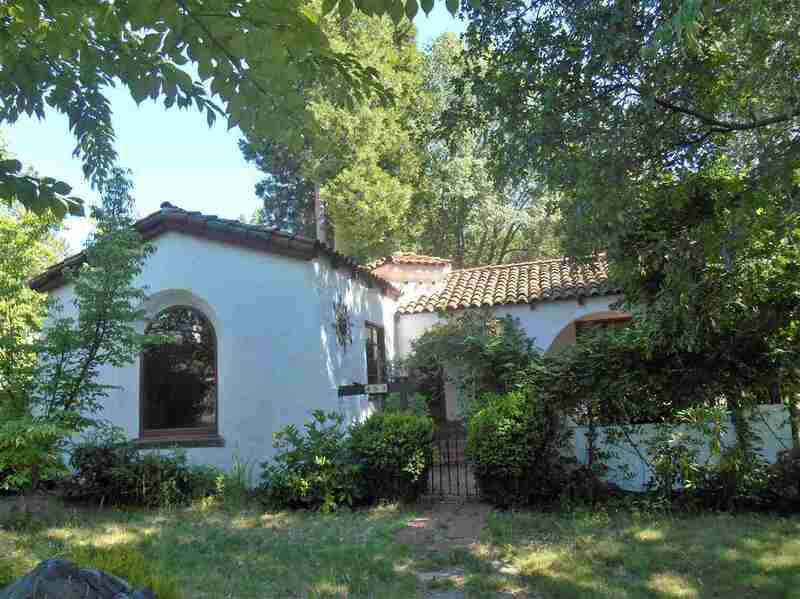 Stately Spanish style Mt Shasta home. Walk to downtown! Gorgeous original designer tile in kitchen and bath, hardwood floors throughout living room, dining room, bedrooms and hall. Coved ceilings and architectural windows, large tiled and stucco fireplace with brand new Lopi insert. Deck off back bedroom with concrete platform below all set up for hot tub. Covered front tiled portal entrance. 2 car garage with shop type area. Approximately 600sf basement area with water and electricity. New wiring throughout home approx. 6 years ago. New TPO roof on main house 3 years ago. New roof on garage this year. Clear section one by seller.